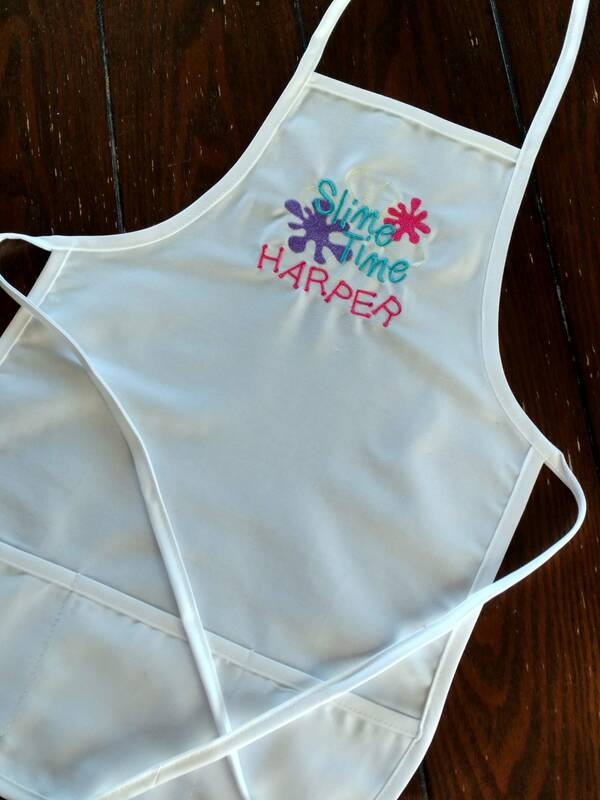 Kids Child Size - Personalized SLIME APRON ~ Slime Party Favor - Slime Supplies - Slime Time - Slime Gift - Art Smock Cooking - CUSTOMIZE! 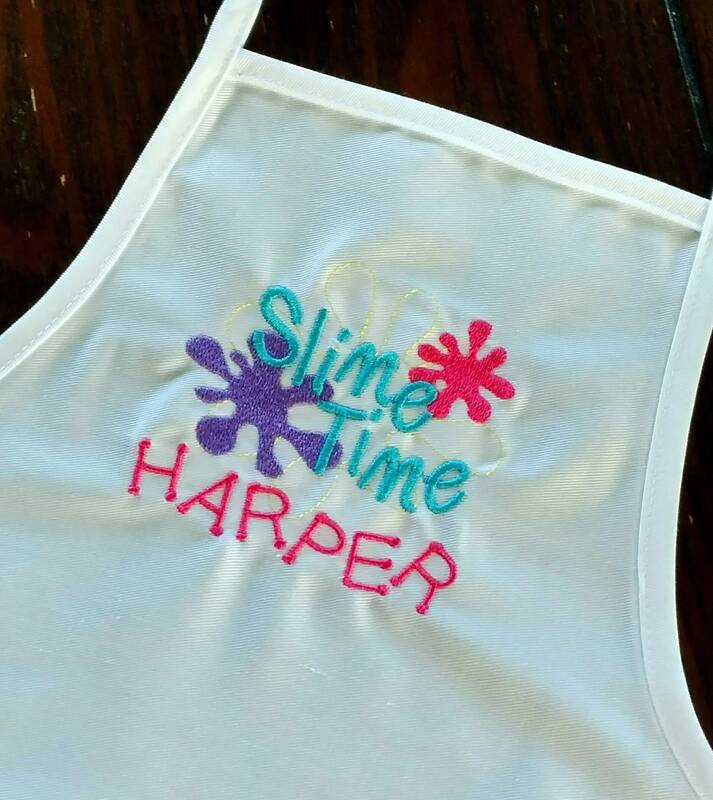 DESIGN: Slime Time lettering with blob design / Personalized with name(s). 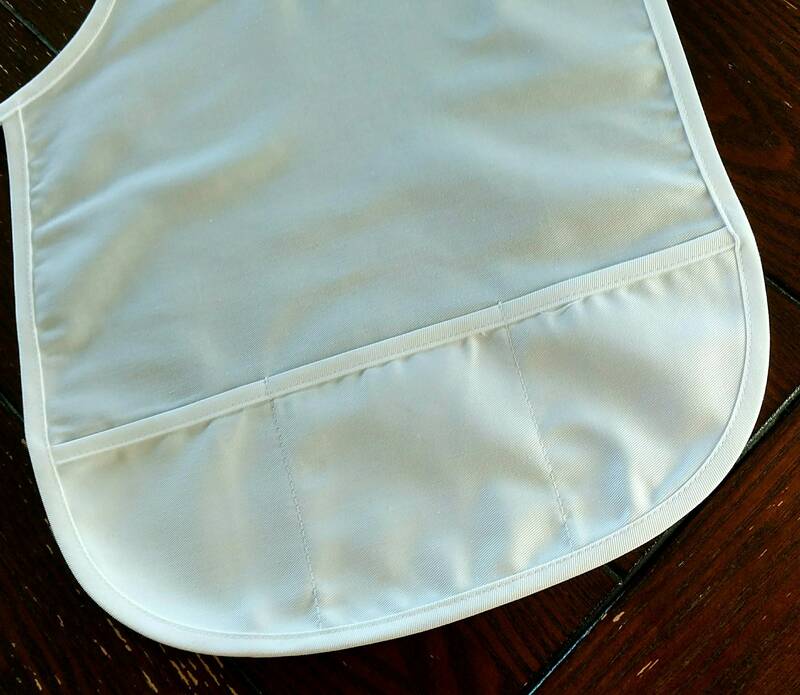 After purchase, jpg proofs will be provided for confirmation prior to stitching. 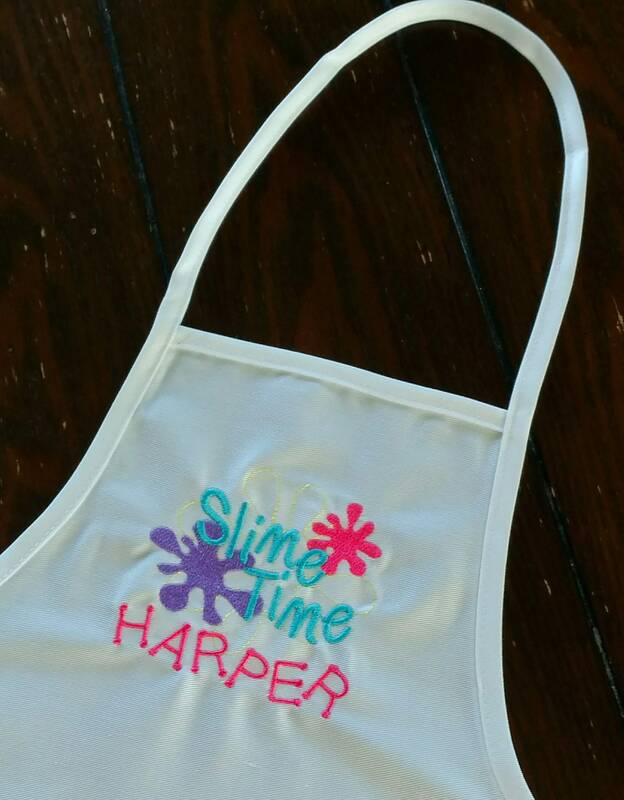 Alternate designs can be requested for art aprons/parties, cooking aprons/parties, or to designs to fit your needs. 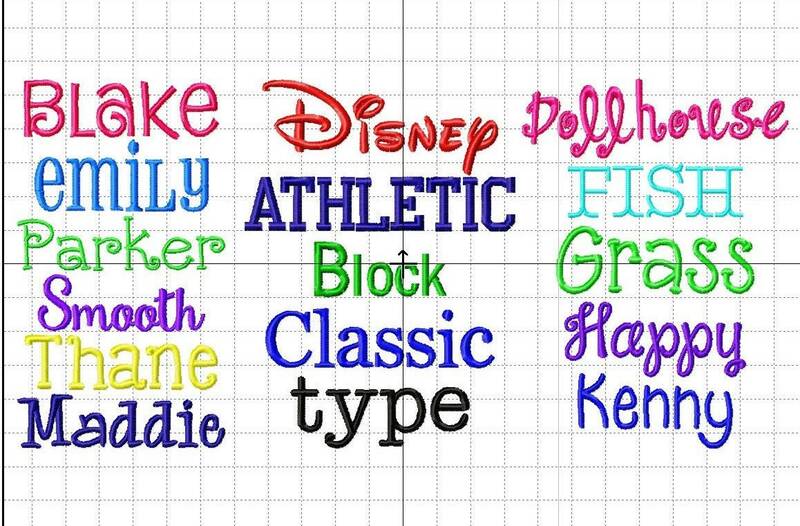 If you have a specific request, please send a message and I will see how I can accommodate your request! Needing a large quantity? 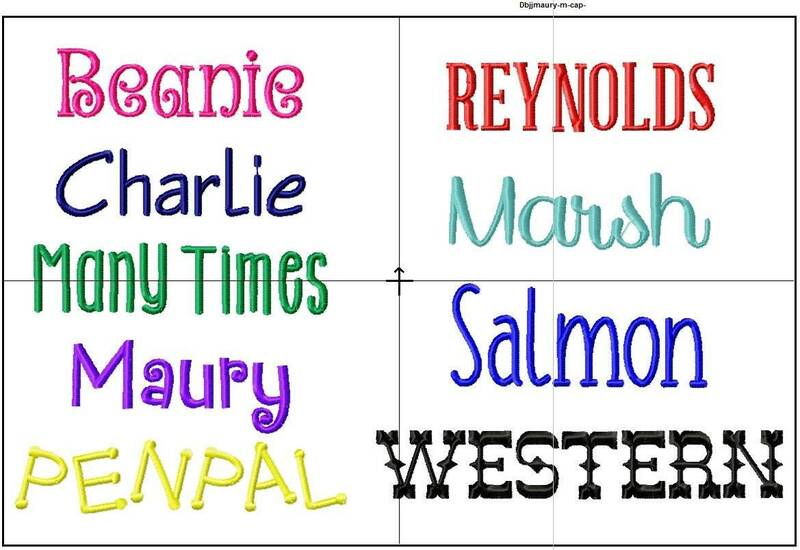 I would be happy to give you a shipping quote or pricing for bulk orders.